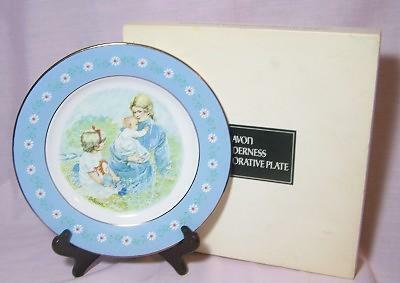 This plate was awarded to Avon representatives in 1974. I was very pleased to receive this plate. In those days we went door to door. It was made in Spain. The scene is very relaxing with a mother & children sitting in the field. There is a slight bubble on the top edge for some reason. 9 3/4 ' in Diameter.